The process of selling your home can be emotional, especially if you’ve lived in your house for many years. Though this is a difficult mission for many sellers, it is important to disconnect feelings as you sell your home. Because buyers will not have the same intrinsic attachment to the homes they visit as their owners do, sellers must accept that the value of their home is not based upon its connection to their feelings, memories or history. Rather, it is based upon enabling prospective buyers to envision it as their own home and evaluate that potential relative to other available properties and similar homes that have recently sold in the area. As a result, it is imperative to leave your emotions at the door when preparing to price and list your home. Pricing fairly increases the chances of selling sooner at top dollar. So eliminating emotions from the equation makes reasonable decisions easier. Consult with your real estate agent, and pay careful attention to their market analysis of your home. The suggested listing price provided should be based upon comparable sale prices of similar homes in your neighborhood. Moving is tremendous undertaking, but preparing your home for sale also presents a prime opportunity to de-clutter and get a jump on the inevitable need to sort, pack and/or discard things you don’t plan to take. The process can be especially overwhelming if you have lived in your home for many years. Moving tips suggest beginning by packing up mementos and other personalized elements within your home. These can be particularly distracting for many prospective buyers. So removing as many as possible should help potential buyers envision living there with their own belongings. Deciding to sell comes with its challenges. Learning how to put the brake on emotions should help to simplify the process, reduce stress and provide a more successful outcome. Contact me today for a consultation. I will be happy to answer any questions you may about the home selling process. Enjoy an old-fashioned day-long fall harvest festival with the citizens of Deerfield, Bannockburn and Riverwoods. 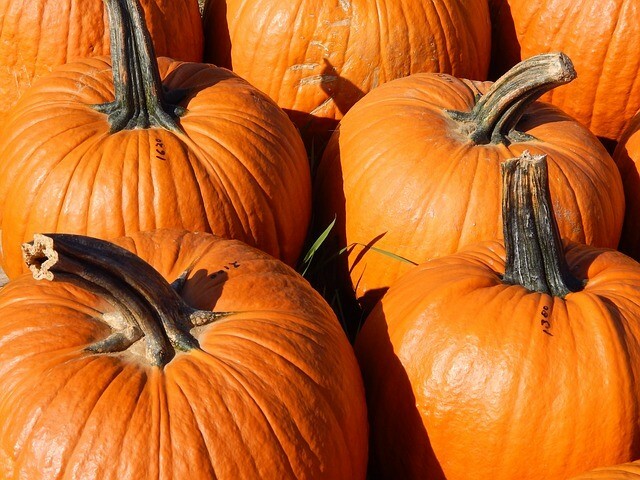 Treat the entire family to a day of Farmer’s Market shopping, music and food, as well as traditional children’s activities at the Deerfield Harvest Festival – a great way to spend an early fall day, and afford children an opportunity to participate in rollicking good fun! Bobbing for apples, pumpkin seed guessing, gourd bowling, Jack-O-Lantern bean bag toss, face painting, balloon creations, pumpkin ring toss and great prizes will create wonderful memories of family outings. Children’s activities begin at 8 AM and last until 12 noon. There will be free hot dogs provided by the Thyme Farmer’s Market, free chili from Whole Foods and free donuts and coffee courtesy of the Deerfield Bakery. Beer and wine will be available to purchase for 21’s and older. Sixties music by “Generation” will take everyone back to the good ‘ole days and most likely bring back some memories for the adults. Beginning at 5:30 PM, the Inaugural Bags Tournament will begin, followed by more live music and free bratwurst while supplies last. The Festival is sponsored by the Deerfield, Bannockburn, and Riverwoods Chambers of Commerce with contributions by Whole Foods and Deerfield Bakery. Admission is free and ample parking is available adjacent to the Festival grounds at the Public Lot on Deerfield Rd. Come celebrate the beginning of the fall season at the Deerfield Harvest Festival, and make some great family memories! 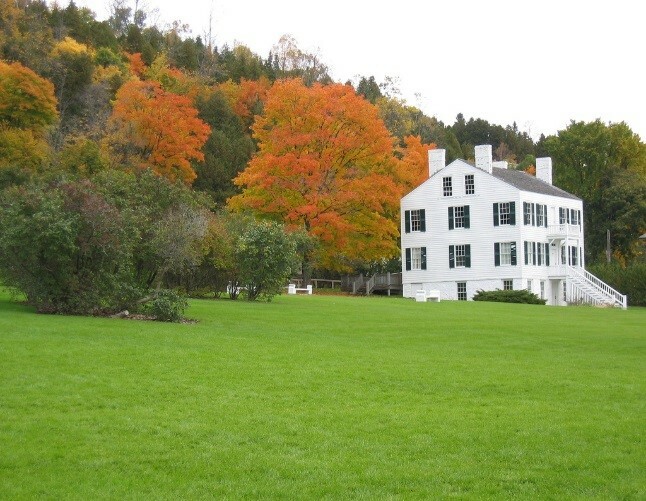 For more information regarding Deerfield Harvest Festival, please click here. Have you considered becoming a landlord? If you’ve weighed the demands associated with rental ownership, and believe it is a wise decision for you, then the fall season is a great time to buy. The first, and most important step, is to team up with an experienced real estate agent. Because rental investments can greatly vary, it is essential to know the options before purchasing rental property. Single family dwellings, condominiums, townhouses, apartment complexes, multiplexes and commercial investments are among the possibilities. So initially be sure to plan a strategy that contemplates your available money and the amount of work you are willing to tackle. For the first-time real estate landlord/investor, residential housing or single family dwellings are highly recommended because they more easily allow potential landlords to “get their feet wet”. When renting your investment is the ultimate objective, favorable property location should be a primary goal. Ask your real estate agent, help you find the best neighborhoods on which to focus your search. More densely populated areas where there is strong rental demand and rental prices are high are certainly superior to rural areas with much smaller pools of potential tenants. Other location factors to evaluate include the numbers of bedrooms and baths being sought by prospective lessees, the safety of the area overall and proximity to conveniences such as schools, grocers, public transportation, hospitals, and shopping. Properties that match the demand in an area and have the benefit of nearby services will be both easier to rent at top dollar and easier to sell in the future should you eventually choose that path. Unless you plan to pay cash for your investment property, be sure to consult a lender and secure capital before embarking on an investment property search. A financial planner, or lender, can assess whether you have enough assets to handle the fluctuations in cash flow that inevitably accompany property investing. Additionally, it is advisable to consulting a property management service that can assist you in maintaining your investment unless you are prepared for midnight calls to handle emergencies and repairs. Lastly, establish connections with a trusted attorney and accountant. An attorney can prepare or review leasing agreements and manage legal issues that may arise between landlord and tenant. An accountant will provide helpful information about tax incentives and the associated financial ramifications of investing. By having a well-rounded support team, headaches should be minimized and profits maximized. For a successful venture, first consult your real estate agent team member to assist in locating the most suitable property, in the most ideal location, with the best profit potential. Contact me today for a consultation. I will be happy to answer any questions you may have, and help you find an ideal investment property. Healthy eating and organic foods are very much in focus these days. This weekend the Botanic Garden presents information and interesting how-to demonstrations with vendors and hands-on activities for adults and children explaining the gardening, storing, preserving and growing of healthy foods. This will also include information on bee-keeping and honey harvesting. So if you enjoy gardening and/or preserving home-grown foods, join in the fun at the Regenstein Fruits and Vegetables Garden. On hand, there will be several well-known experts and members of the Botanic Garden staff offering instruction and demonstrations including Dan Bussey of Seed Savers Exchange who will discuss Heritage apples. Staff members Ann Stevens and Bob Bavirsha will demonstrate honey harvesting and offer honey tasting. They will be challenging participants to identify different types of honey such as linden, wildflower and buckwheat. 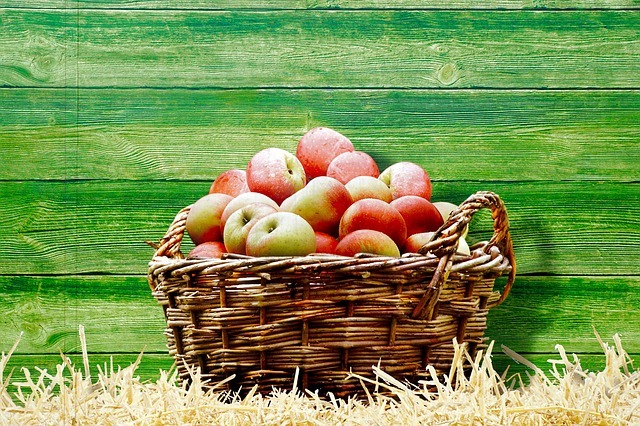 Mr. Bussey will offer twenty types of apples for sampling and those will also be available to purchase in seeds. Additional seminars and demonstrations throughout Saturday and Sunday begin at 11 AM and run through 4 PM each day. Don’t miss the Garden Chef series presentation with Food Network stars, “The Hearty Boys”, who will offer their new signed cookbook for purchase at the Garden Shop. For fun, bring your own cookbook to swap in the Gardens’ first cookbook swap called “Keeping Heritage Recipes Alive”. So stop in this weekend to enjoy this wonderfully informative and interesting event at Chicago Botanic Garden Harvest Weekend! Admission: For parking, registration and ticket purchase, please click here. For more information regarding Chicago Botanic Garden Harvest Weekend, please click here. The August 2015 Midwest Real Estate Market Reports are now ready for your review. These market reports provide an insight on the real estatemarket statistics for Cook County and Lake County. These statistics are helpful when you are considering buying or selling in today’s real estatemarket. And, remember should you need tailored reports on a subdivision or neighborhood in the North Shore, North and Northwest Suburban Chicago, Illinois area, please let me know. The summer growing season is drawing to a rapid close. Though cutting the grass can be less frequent, caring for your lawn as autumn takes hold presents a special opportunity to add beauty to your home and neighborhood with these ideas to dress up your lawn and landscaping. Especially if you are planning to sell your home, it is critically important to consider these tips. If you only fertilize annually, the cusp of fall is the best time. It’s also a great time to sow a new lawn with cool-season turf like perennial ryegrass, fescues and Kentucky Bluegrass. The Virginia Cooperative Extension of Virginia Tech has an excellent guide to fall lawn care that covers everything from testing your soil to pest control. Consider planting annual flowers now, such as asters, mums and Japanese anemones. Be sure to keep them watered and prune dying flowers regularly. Only water if it hasn’t rained in a week. This is also an opportune time to plant new shrubs and trees. If you have a rose garden, be sure to care for your roses bushes in the fall -- they will add to the beauty of the season. For the best results, remove the dead stems and prune the rest back by about a third. Add rose fertilizer and cover with clean mulch. If a fall harvest piques your interest, now is a good time to start planting that garden. With roughly two months of freeze-free days, waiting is not advised – planting now should provide ample time for crops to mature. Broccoli, cauliflower, cabbage, turnips, mustard and arugula all grow wonderfully in later summer and early fall -- and they will help to prepare your soil for a spring garden. Remember, your lawn and landscaping are the first thing potential buyers will see when they visit your home, so make sure that curbside view is an excellent one. For additional ideas on how to create a great first impression, contact me today for a consultation. I will be happy to answer any questions you may have, and/or help you determine the value of your home. Join in the fun with approximately ½ million residents and visitors at Navy Pier’s Venetian Night boat parade. Celebrating its 56th anniversary, the aquatic parade is the oldest city sponsored event in Chicago. With their dazzling light displays, roughly 30 boats will sail close to the South Dock of Navy Pier. Since 1958, the Venetian Night parade has been a long-time Chicago favorite, presented annually in cooperation with the Chicago Yachting Association. Each yearly parade has a distinct theme and this year’s subject for decorations will be “Once Upon a Time”, employing favorite classic children’s stories. The parade will be followed by a spectacular fireworks display, worthy as a stand-alone event. The parade begins at 7:30 PM and will last approximately an hour. For those who might enjoy observing the parade from the water, cruises are available on the Odyssey, the Spirit of Chicago and the Mystic Blue cruise vessels. For more information regarding parade night cruises, please click here. To be a parade participant and become a pirate on the tall ship “Windy”, please click here. Live bands will also play at the Landshark Beer Gardens while attendees vote for best parade boat at #BoatVoteNP on Twitter. Available parking at Navy Pier costs $25.00; nearby restaurants such as Harry Caray’s Tavern, City Porch, and Riva Crab House offer more affordable valet parking. Other transportation options include the free Trolley at State St. (until 10 PM), the subway, or City bus lines. For more information regarding public transportation, please click here. Enjoy a unique Chicago tradition and a dazzling evening this Saturday night at Navy Pier’s Venetian Night parade! This event will be one for the memory books! For more information regarding Venetian Night, please click here. Selling luxury real estate is an art form and requires attention to detail that is near obsessive as well as the assistance of an expert Realtor®. When buyers are willing to invest millions of dollars to acquire a luxury home, they typically know what they want, so the slightest problem or misstep can send them in another direction. To ensure no mistakes when selling your property, here’s a step-by-step guide to assist in selling a luxury home regardless of the market. When selling any property, it’s an accepted practice to clean the property to get it ready for showing. But in a luxury property, this process intensifies tenfold and needs the proverbial white glove treatment. Most sellers hire a professional cleaning crew to detail the property to perfection. Likewise, the grounds should be professionally groomed to ensure that the landscaping provides a captivating, all-important first impression with uniform hedges, colorful flowers, manicured beds and grass that is fairway perfect. Lastly, many luxury homeowners elect to professionally stage their properties, a process of using furniture, artwork and other embellishments to create a model-like look to enhance the appeal to the discerning luxury homebuyer. This may include replacing dated furniture with more modern or transitional pieces and is designed to update the entire look of the house. While this will cost money, studies have shown that luxury home sellers who go through this process typically sell their homes more quickly and for as much as 5 to 20 percent more than those who do not. Photographs used to market a luxury home should be taken by a professional home photographer. Because most luxury home buyers begin their home search online, outstanding photographs that form the initial basis for judging a home are essential. So, be certain to hire an exceptional professional photographer who produces exceptional images. Because luxury properties are unique with numerous distinctive architectural features and/or amenities, incorporating video displays will clearly enhance marketing efforts. As with photos, video should be recorded and edited by a professional. It will pay off in the end. Exceptional marketing is essential to selling a luxury property because the pool of potential buyers for luxury properties is understandably small. Select an agent skilled in providing broad-reaching exposure through online resources including everything from the local MLS to highly-trafficked real estate marketing portals such as Realtor.com, Trulia and Zillow, as well luxury-home specific websites to dramatically increase the odds of securing the right buyer. Since a sizable number of luxury property buyers live outside of the United States, distributing your information to foreign real estate sites is also a prudent idea. As a luxury homeowner, your friends and their friends may add to your potential buyer pool. So make sure your network of business colleagues and friends know that you are selling your property. Some sellers even consider hosting an “introduction to the market” party with invitations extended to their friends, colleagues and well-respected top agents. This provides an opportunity to pre-market the property with the house looking its absolute best, but in a relatively informal setting. 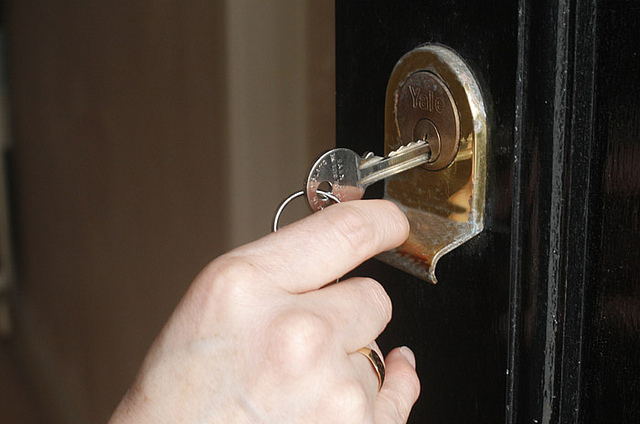 Be prepared to show your property frequently and on short notice. If it is correctly prepared and priced, it may sell within the first few weeks. But be primed for the process to take a while because luxury home buyers are both scarce and often picky. With persistence and patience, the right buyer will come along. So stack your deck by doing the most you can to present your home in the best possible light, market it aggressively and show it until it sells. Contact me today if you are ready to sell your home. I will be happy to go over any questions you may have and/or help you determine the value of your home. Enjoy a lovely Labor Day weekend with other art enthusiasts at the historical Lake Forest Market Square. The whole family is sure to enjoy the 61st annual Deer Path Art League “Art Fair on the Square”. Designed along the style of an English market square, the exhibit is thoughtfully arranged around the Square to facilitate viewing and interaction with artists. The event, ranked among the top 100 art shows in the nation, expects 20,000 viewers to appreciate the works of the 180 national and international juried artists. The Art Fair encompasses a broad variety of mediums, including painting, drawing, photography, graphic arts, mixed media, sculpture and much more. Approximately $4,000 in prizes will be awarded by the judges. The mission of the Deer Path Art League is to foster art appreciation and raise community awareness, as well as to “spark, nurture and enhance creativity”. Youth artisans will also display and sell their creations, and children will enjoy the Creation Station with interactive art projects. Many of the League’s volunteers are local high school students who assist in setting up the Art Fair, and are greatly appreciated by the League. The Lake Forest Market Square was built in 1916 and is the nation’s first designed shopping center. It has 25 stores and restaurants -- vendors will offer pizza, Japanese fare and snacks. The Market Square also affords easy access as it located across the street from the Metra train station. Admission and parking for the event are free. The classical ambience of Lake Forest Market Square is perfect for enjoying a day out with the family. So don’t miss the opportunity to celebrate the arts with the Deer Path Art League at “Art Fair on the Square” this Labor Day. 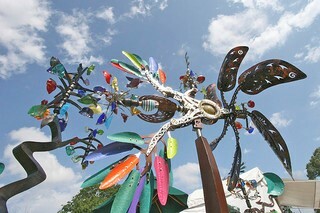 For more information regarding Art Fair on the Square, please click here. Maintaining your home is essential to protect your biggest investment, and it doesn’t have to be hard. If you plan to sell your home, it is especially important to keep a regular schedule for maintenance. Here are six home maintenance chores to do on a regular basis. Run your fingers over the gasket that seals your oven door. Check for any rough spots or broken places. If needed, replacement should only require a few minutes of effort. Consistent cooking temperatures are a key ingredient to successful results. So a faulty gasket which can allow up to 20-percent of the heat to escape an oven produces longer cooking times, more energy use and the potential for ruined meals. Filters inevitably get clogged with normal use after only a few months. So make an effort to replace or clean your filters on a regular basis. Setting a reminder on your smartphone is an easy solution to keeping a routine and schedule. This can be summed up in only two words: Air Quality. If you or anyone in your family has allergies, it’s especially important to replace vent filters periodically. Doing so cuts down on dust and dander – both major allergens that might create adverse reactions. Drip pans under the stove catch all the spills. But one thing they can’t do is clean themselves. When you notice a spill in the drip pan, but sure to remove and clean the pan. Other than pure aesthetics, dirty drip pans are unsanitary and can breed bacteria. So don’t run the risk by allowing debris to accumulate in the drip pan. 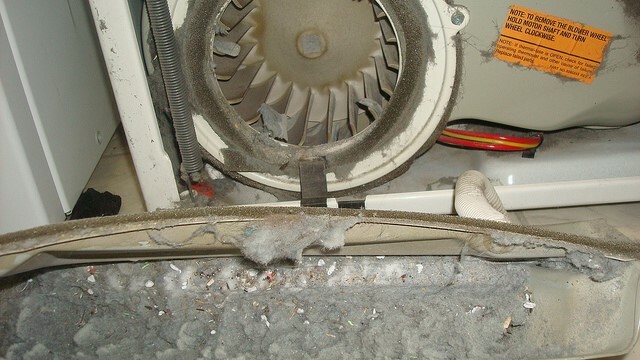 Dust tends to collect around the refrigerator coils. Periodically, it needs to be vacuumed. So, pull out the refrigerator out, remove the bottom plate and clear the coils. First, dust around coils presents a fire hazard. Secondly, your refrigerator will run more efficiently and use less energy. This could require a few tools, but is not really difficult. Start by pulling the dryer out from the wall and loosening the clamp that connects the exhaust hose to your dryer. Next pull the exhaust tube from the dryer. Then, inspect it for clumps of lint. If you can, remove the clumps with your hands. For anything you can’t reach, use a vacuum to clear the buildup. Dryer lint is a fire hazard. So clean out your dryer exhaust annually. Twice a year, pull out your washing machine and examine the hoses for loose clamps, cracks or leaks. They should be easy to spot – especially after a wash. If you see any problem areas, replace the hoses. Faulty washing machine hoses are a major cause of floods in the home. Once they fail, all the water will end up on the floor. So, don’t take that chance. While these suggestions offer a few easy tasks to keep your home in top shape this year, there are certainly many more to work into a monthly or quarterly schedule designed to keep your home in tip top condition. For additional information on buying or selling a home in Chicago’s North Shore, North or Northwest suburbs, contact me today for a consultation. I will be happy to answer any questions you may have, and/or help you determine the value of your home or a home that you may be interested in purchasing.